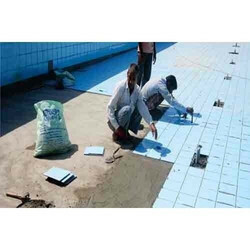 Manufacturer of a wide range of products which include epoxy adhesive--algitite and algitileaid sp3. Thixotropic and hence suitable for vertical application. Sets quickly in 2 hours and hence reduces labour time. Very high adhesion and can bond different materials. It can be filed to remove additional left over material. Application Method: Mix ALGITITE resin and hardener in the ratio of 1:1 by volume. Keep it for 5 minutes and then apply on clean and dry surface that needs to be bonded. ALGITILEAID SP-3 is used to fix the following on interior walls and floors.